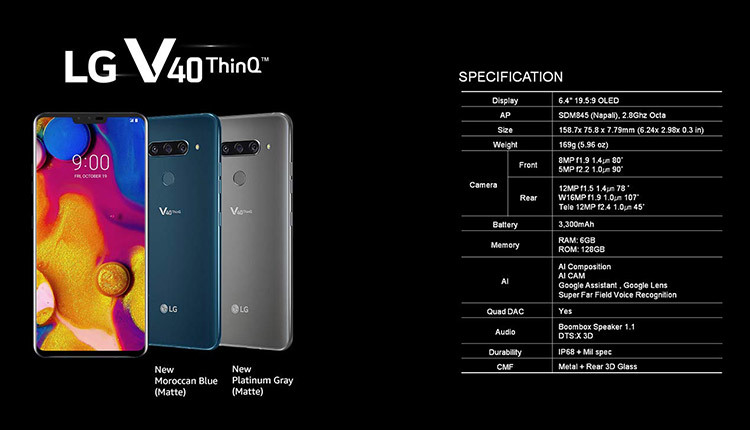 LG launched it’s flagship model, the V40 ThinQ in October last year and has now the company has launched it’s V-series handset in the Indian market. 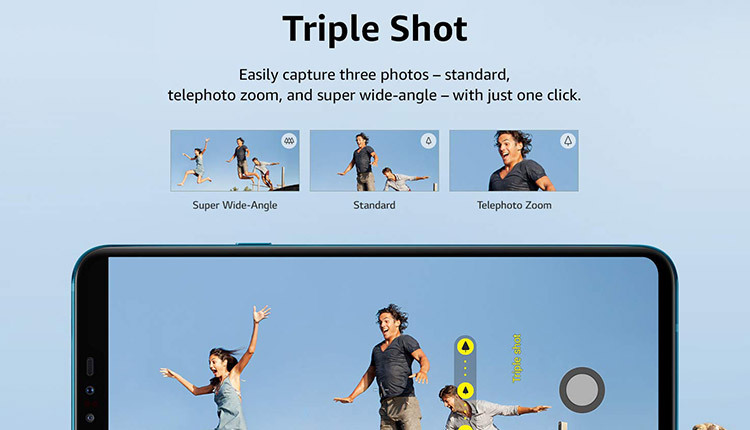 The key highlight of the smartphone is that it bears a total of five cameras – two in the front and three at the rear. The V40 is also LG’s first smartphone to come up with the notched display design. LG has also packed its proprietary Boombox speaker along with a 32-bit Hi-Fi Quad-DAC audio and DTS:X 3D surround sound experience in the V40. 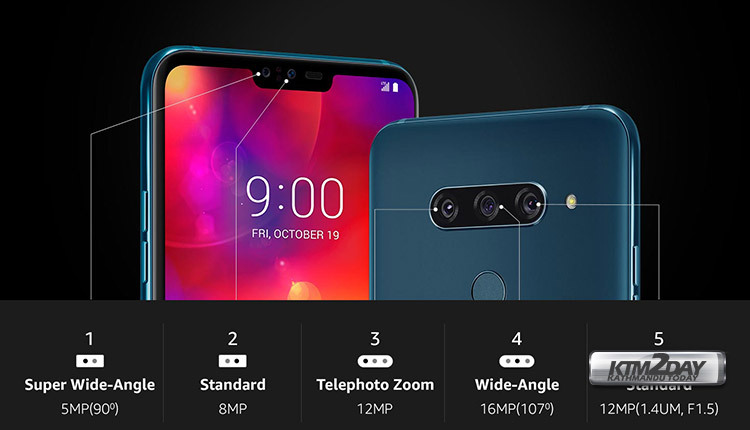 LG has provided a triple camera setup on the V40 ThinQ. The camera setup includes a primary 12-megapixel sensor along with 1.4-micron pixel size, f/1.5 aperture, and 78-degree viewing angle. Also, the setup has a 16-megapixel ultra-wide angle sensor along with a 107-degree viewing angle, f/1.9 aperture, and 1-micron pixel size as well as a 12-megapixel sensor along with 1-micron pixel size and a telephoto lens with f/2.4 aperture and 45-degree viewing angle. For selfies, the smartphone has a dual camera setup at the front – with an 8-megapixel primary sensor with f/1.9 aperture and 1.4-micron pixel size and a 5-megapixel wide-angle sensor along with f/2.2 aperture and 1.4-micron pixel size. 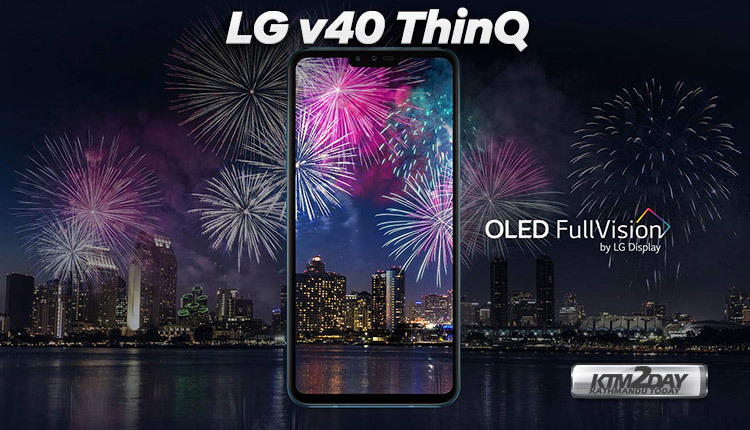 The LG V40 ThinQ price in India has been set at INR 60,000 (MRP). However, Amazon.in has listed the handset with a deal price of INR 49,990. It comes in Grey and Blue colour options.